Congressman Steven M. Palazzo represents the 4th Congressional district of Mississippi and some of the finest people in the country. Like them, Steven believes in limited government, a strong national defense, and conservative solutions for our country. Born in Gulfport, Mississippi, Steven attended St. John’s High School before earning his Bachelor’s and Master’s degrees in accounting from the University of Southern Mississippi. Military service is a tradition in Steven’s family. His grandfather and uncle both served in the U.S. Marine Corps. Steven’s grandfather served with the 2nd Battalion 7th Marines in some of World War II’s most famous battles: Guadalcanal, Okinawa and Iwo Jima. Honoring that tradition, Steven enlisted in the Marine Corps Reserves in 1988. His unit was mobilized and as a member of 3rd Force Reconnaissance, Steven celebrated Christmas of 1990 in the Middle East, while serving in the Persian Gulf War during Operations Desert Shield and Desert Storm. After the September 11 terrorist attacks, Steven's second deployment took him to Camp Shelby where he worked in direct support of the training and mobilization of troops deploying for Operation Enduring Freedom. Today, Steven continues to serve in the Mississippi Army National Guard. He is the only Member of Congress out of 535 who is an enlisted Guardsmen. Although his educational background and life experience could qualify Steven to be commissioned as an officer in the Guard, he has chosen to remain a noncommissioned officer and infantryman. 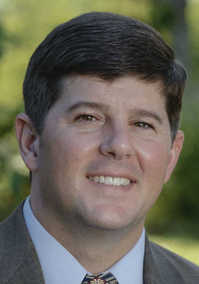 Congressman Palazzo is also a former small business owner who started his own accounting firm in 2001, giving him a unique perspective on what it means to create jobs and manage a budget. Dedicated to serving his community, Steven was first elected to the Mississippi state legislature in 2006. Steven used his background in business to push through a tax cut for Mississippians and authored a resolution reaffirming the 10th Amendment, which properly defines a limited role for the federal government by reserving power for the states. Concerned by the direction our country, in 2010 Steven decided to run for Mississippi’s 4th Congressional District. It was a race no one thought he could win, but Steven Palazzo has never met a challenge he wasn’t willing to meet head-on. He won the election with 52% of the vote, defeating a Democrat who’d been in office for over 20 years. Congressman Palazzo was first sworn into office on January 5, 2011 and initially served on the House Armed Services, Homeland Security, and Science, Space and Technology Committees where he was the Chairman of the Space Subcommittee. In the 114th Congress, Steven was selected to the powerful Appropriations Committee which oversees all federal spending. He is a strong advocate of making sound federal investments to protect our national defense while cutting the true drivers of our deficits and debts: mandatory spending. Steven is the proud father of three children: Barrett, Aubrey and Bennett.